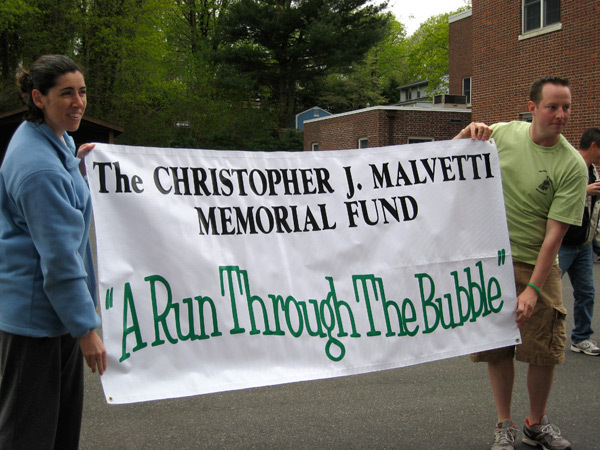 In memory of Christopher, and to benefit the Christopher J. Malvetti Memorial Fund, events are held throughout the year. "A Run Through the Bubble"
Chris Malvetti enjoyed running on the local roads of Port Jefferson Village, "the bubble" as he referred to it. 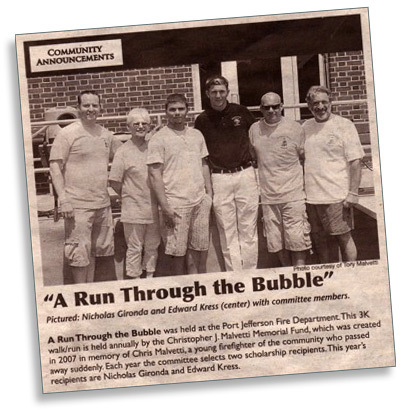 Held in June each year, the "Run Through The Bubble" is a family oriented 3K Fun Run/Walk and barbeque. 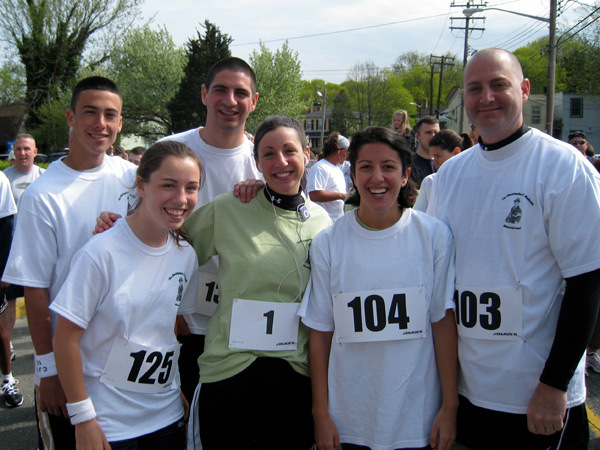 The race begins and ends at the Port Jefferson Fire Department and the proceeds benefit the Christopher J. Malvetti Memorial Fund. Annual gathering of Chris' friends and family at the Checkmate Inn, his favorite hangout and the place of his surprise 21st birthday party. 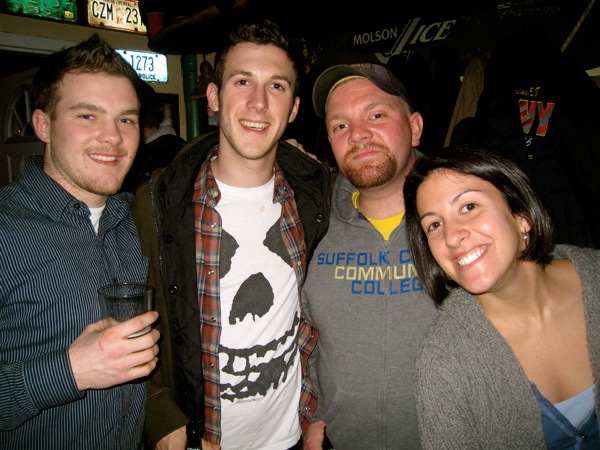 Each year, owner Dave Morse hosts this fundraising event in memory of his friend, Chris. Proceeds from this event benefit the Christopher J. Malvetti Memorial Fund. Look for information to be posted as the event date draws closer. Visit the Scholarship tab to apply for this year's scholarship!